Bear with me – I just need somewhere to make a note of this so I can check back on it for my own sanity. 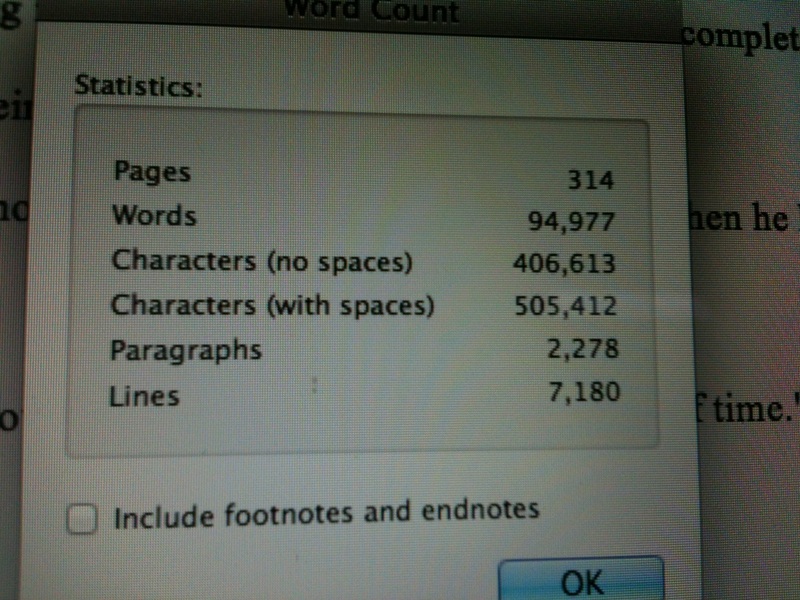 MS now stands at 94,977 words including edits thus far. It started at 88k. I’ve edited 151 pages out of 314 pages. That equates to 46,347 words out of 94,977 words. Hoping that final count of ms will be around 100k+. The next step: everyone panic!